The Webb School is a private coeducational college preparatory boarding and day school in Bell Buckle, Tennessee, founded in 1870. It has been called the oldest continuously operating boarding school in the South. Under founder Sawney Webb's leadership, the school produced more Rhodes Scholars than any other secondary school in the United States. A blue-collar worker is a working class person who performs manual labor. Blue-collar work may involve skilled or unskilled manufacturing, mining, sanitation, custodial work, textile manufacturing, commercial fishing, food processing, oil field work, waste disposal, and recycling, construction, mechanic, maintenance, warehousing, technical installation, and many other types of physical work. Blue-collar work often involves something being physically built or maintained. The Space Frontier Foundation is an American space advocacy nonprofit corporation organized to promote the interests of increased involvement of the private sector, in collaboration with government, in the exploration and development of space. Its advocate members design and lead a collection of projects with goals that align to the organization's goals as described by its credo. Our goals include protecting the Earth’s fragile biosphere and creating a freer and more prosperous life for each generation by using the unlimited energy and material resources of space. In 2004, he contributed a chapter to the collaborative hoax novel, Atlanta Nights . Atlanta Nights is a collaborative novel created in 2004 by a group of science fiction and fantasy authors, with the express purpose of producing an unpublishably bad piece of work, so as to test whether publishing firm PublishAmerica would still accept it. It was accepted; after the hoax was revealed, the publisher withdrew its offer. "Sixteen Million Leagues from Versailles" 2013 "Sixteen million leagues from Versailles". Analog . 133 (10): 8–22. October 2013. Geoffrey Alan Landis is an American scientist, working for the National Aeronautics and Space Administration (NASA) on planetary exploration, interstellar propulsion, solar power and photovoltaics. He holds nine patents, primarily in the field of improvements to solar cells and photovoltaic devices and has given presentations and commentary on the possibilities for interstellar travel and construction of bases on the Moon, Mars, and Venus. Gardner Raymond Dozois was an American science fiction author and editor. He was the founding editor of The Year's Best Science Fiction anthologies (1984–present) and was editor of Asimov's Science Fiction magazine (1984–2004), garnering multiple Hugo and Locus Awards for those works almost every year. He also won the Nebula Award for Best Short Story twice. He was inducted to the Science Fiction Hall of Fame on June 25, 2011. Asimov's Science Fiction is an American science fiction magazine which publishes science fiction and fantasy named after science fiction author Isaac Asimov. It is currently published by Penny Publications. From January 2017, the publication frequency is bimonthly. Stanley Albert Schmidt is an American science fiction author. Between 1978 and 2012 he served as editor of Analog Science Fiction and Fact magazine. Kage Baker was an American science fiction and fantasy writer. "Mr. Boy" (1990) is a science fiction novella written by James Patrick Kelly. Originally published in the June 1990 issue of Asimov's Science Fiction, it was subsequently reprinted in The Year's Best Science Fiction: Eighth Annual Collection, Modern Classic Short Novels of Science Fiction, Visions of Wonder, and in Kelly's own short fiction collection, Think Like a Dinosaur and Other Stories (1997). The story won the Asimov's Reader's Poll Award for Best Novella. It was also nominated for the Locus Poll Award and the Nebula Award. Mary Rosenblum was an American science fiction and mystery author. G. David Nordley is a science fiction writer, physicist, and astronautical engineering consultant whose fiction writing is most associated with Analog Science Fiction and Fact. His fiction is under the name G. David Nordley while his technical writing is written under the name Gerald D. Nordley. He is a fellow of the British Interplanetary Society and a senior member of the American Institute of Aeronautics and Astronautics. Gerald is an active participant in the Contact Conference, which is currently held every two years in Northern California. "Oceanic" is a science fiction novella by Australian writer Greg Egan, published in 1998. It won the 1999 Hugo Award for Best Novella. Brian Plante is an American science fiction writer. As of 2007, he had published 49 short stories. Analog magazine has published 16 of his stories and most of the recent ones. 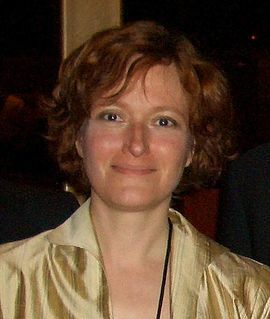 Plante has written several sarcastic essays on writing, including the "Chronicles of the Garden Valley Writers," an account of dynamics in a fiction writer criticism group. His non-fiction has appeared in Manifest Destiny, Fantastic Collectibles, and from 1995 to 1998 as a monthly column in The New Jersey Graveline. David Moles is an American science fiction and fantasy writer. He won the 2008 Theodore Sturgeon Memorial Award for his novelette "Finisterra," which was also a finalist for the 2008 Hugo Award for Best Novelette. He was a finalist for the 2004 John W. Campbell Award. Old Mars is a "retro Mars science fiction"-themed anthology edited by George R. R. Martin and Gardner Dozois, published on October 8, 2013. According to the publisher Tor Books, the collection "celebrates the "Golden Age of Science Fiction", an era before advanced astronomy and space exploration told us what we currently know about the Solar System, when "of all the planets orbiting that G-class star we call the Sun, none was so steeped in an aura of romantic decadence, thrilling mystery, and gung-ho adventure as Mars." New Dimensions II: Eleven Original Science Fiction Stories is an anthology of original science fiction short stories edited by American writer Robert Silverberg, the second in a series of twelve. It was first published in hardcover by Doubleday in December 1972, with a paperback edition under the variant title New Dimensions 2 following from Avon Books in December 1974. ↑ Thomas, Lynne. "LibGuides. Rare Books and Special Collections At Northern Illinois University. Previous SFWA Officers Listing". libguides.niu.edu. Retrieved 2015-10-19. ↑ Steele, Allen. "Allen Steele Biography". allensteele.com. Retrieved 2016-11-21. ↑ "Steele and Kondo Win 2013 Heinlein Award". locusmag.com. Locus Publications. 2013-01-28. Retrieved 2016-11-21. ↑ "Asimov's Readers' Awards". asimovs.com. Penny Publications, LLC. Retrieved 2016-11-21. ↑ "Official site: Bibliography" . Retrieved September 27, 2014. ↑ DeNardo, John (February 14, 2013). George R.R. Martin; Gardner Dozois, eds. "TOC: Old Mars". SF Signal . Retrieved September 26, 2014. ↑ Bedford, Robert H. (October 8, 2013). George R.R. Martin; Gardner Dozois, eds. "Mars as We Thought it Could Be: Old Mars". Tor.com. Retrieved September 26, 2014. ↑ "Not A Blog: Venus In March". GRRM.livejournal.com. June 19, 2014. Archived from the original on August 21, 2014. Retrieved September 27, 2014.